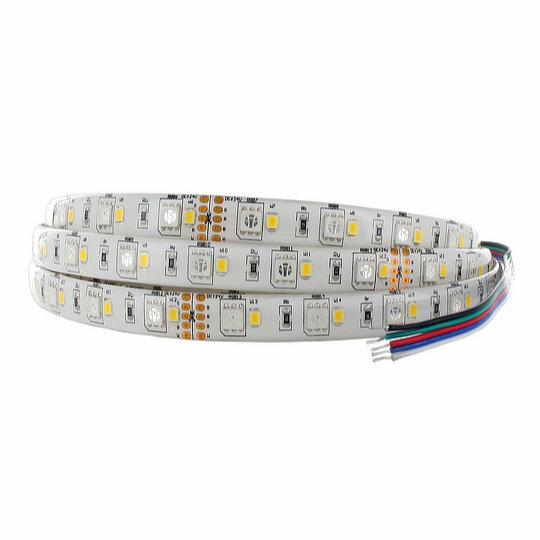 The FPL-RGBW series of LED strips from Sloan are available in 2.5m long strips with 24V circuit and a wattage of 23W/m. All models have a width of 12mm with 240 LED’s dispersed at 20.8mm intervals and are RGBW with 2.4A currents in the following colours and brightnesses…. The FPL-RGBW series come pre-wired with pre-applied adhesive tape on the back for quick installation and are silicone covered sealing the LED strip to IP64. The FPL-RGBW series does not retain its IP64 sealing if cut to shorter lengths.